Samantha Cooper is missing and her boyfriend is desperate to find her. Desperate enough to hire Gertrude, Gumshoe. Thrilled to have her first real client, Gertrude gets right to work. But is she really ready for a real case? Can she catch a kidnapper without getting herself kidnapped? I love Gertrude. when I listen, I picture her as an older heavy set lady, with bottle glasses and a walker. She just runs around questioning people and not thinking of the consequences, always getting into trouble. would love to have her as a relative. I listened to this audiobook while driving and found it to be very interesting and extremely enjoyable. I would recommend this audiobook to anyone who is looking for a good cozy type mystery. Gertrude can really make you laugh! Loved the narration and the storyline, well done and can't wait to keep following her adventures! I really enjoyed this book. The writer creates believable characters that kept you interested. The reader did a great job too and really drew you into the story. I am ordering another book from this author today. And I hope she writes more in the series. She does a fantastic job! 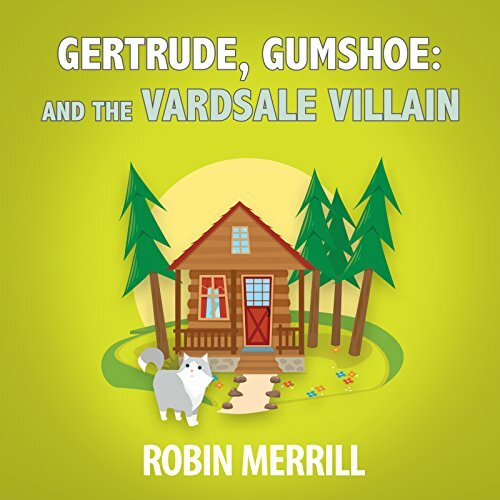 Gertrude is back and manages to get herself caught up in another mystery. This time she may be in over her head though... who knew virtual yard sales could be so dangerous.